Amen Johnson, 9, left, jumps high to launch a "stomp rocket" with air pressure, while Jessie Hernandez, 10, steadies the experiment during a special program led by NASA Jet Propulsion Laboratory at Circle V Ranch Camp near Cachuma Lake. Girls at a previous summer camp session show off an art project. 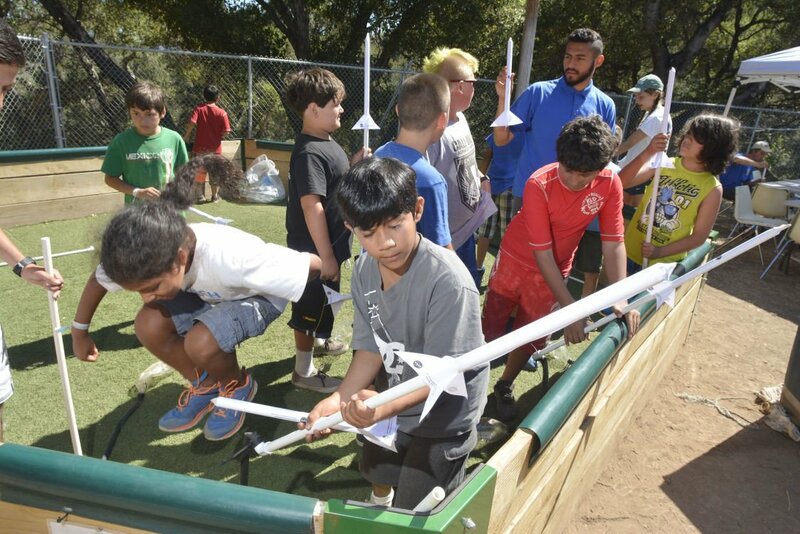 Campers launch "straw rockets" during a special program led by NASA Jet Propulsion Laboratory at Circle V Ranch Camp near Lake Cachuma. 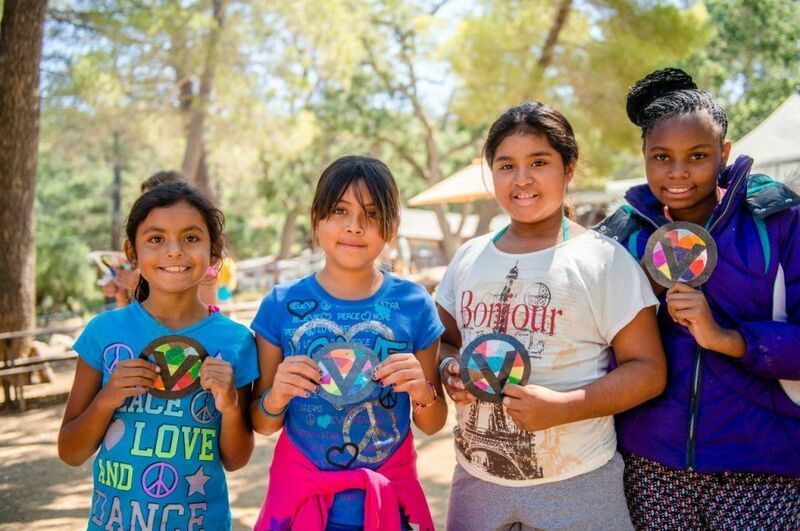 Ray Lopez, director of Circle V Ranch Camp, has announced four session dates and themes for the 2019 summer season. Since the Whittier Wildfire on July 8, 2017, which forced the closure of Circle V due to damage of its health lodge, craft cabin and water treatment facility, local volunteers and community members have come together, investing their hard work and fundraising efforts to make the reopening a reality, according to Lopez. "I started as a counselor at Circle V Ranch Camp in 1993 and have been Camp Director since 2008. Our staff and I are all so blessed to be able to welcome everyone back again!” he said. Circle V Ranch Camp & Retreat Center was founded in 1945 by St. Vincent de Paul Los Angeles and has been located since 1990 on 30 acres in the Los Padres National Forest across from Cachuma Lake just 20 minutes inland from Santa Barbara. During the summer months, Circle V Ranch Camp sessions offer six days and five nights of traditional supervised fun for boys and girls ages 7-13 and leadership training for ages 14-17. Campers enjoy activities including archery, arts and crafts, hiking, swimming in the pool, learning about nature, painting, photography, playing baseball, basketball, ping pong, foosball, soccer, miniature golf and of course, campfires, skits and singing. There is no TV, radio or internet access to affect the experience. Campers stay overnight in wood cabins and three nutritious daily meals are served family style in the Dining Lodge featuring plenty of food, camaraderie and fellowship. Session One: Friday, July 12 to Wednesday, July 17, "Space Week"
Session Two: Saturday, July 20 to Thursday, July 25, "Adventure Week"
Session Three: Friday, July 26 to Wednesday, July 31, "Carnival Week"
Session Four: Saturday, Aug. 3 to Thursday, Aug. 8, "Talent Show Week"